I don’t know about you all, but I think the dollar spots at Target are the best!! You never know what fun things you will find there, but the other day, I hit the jackpot. 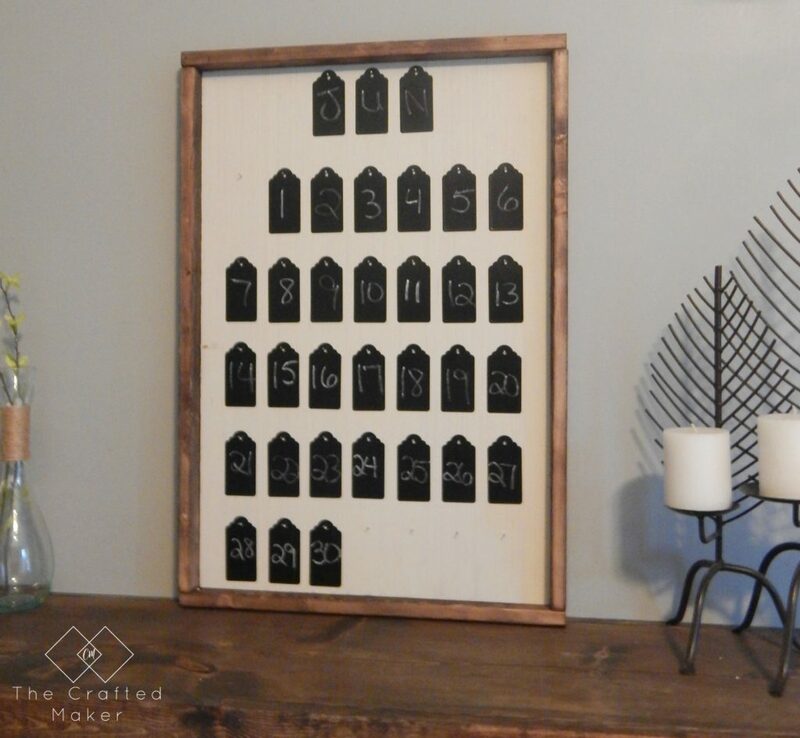 I found a four pack of chalkboard tags for $1. I was excited, to say the least. I went a little overboard and purchased about ten packages. 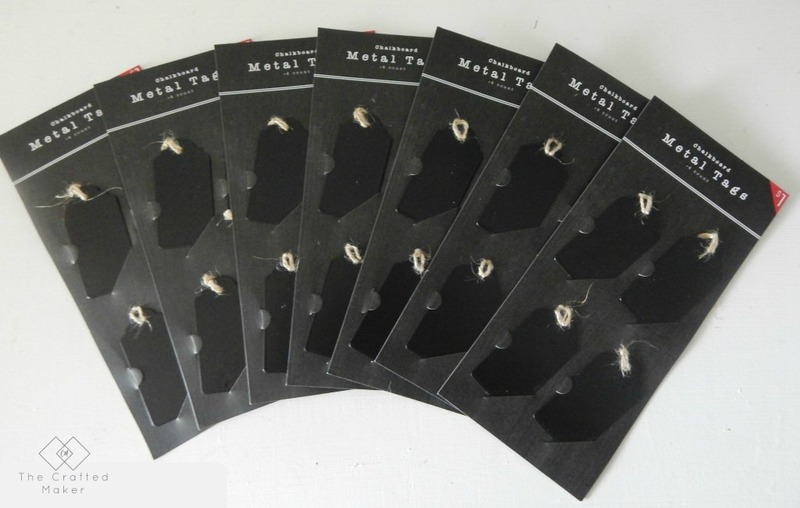 Since I impulse bought so many tags, I had to come up with a project to justify spending that money (at least that’s what I tell myself). 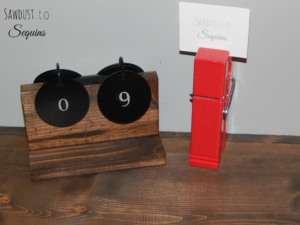 I came up with a calendar with the metal tags used for the numbered days. So, I had some scrap wood that I have wanted to use in a project for a while now and this was the perfect opportunity. I used some scrap plywood and 1X2s left over from previous projects. I marked the measurements in the picture below. 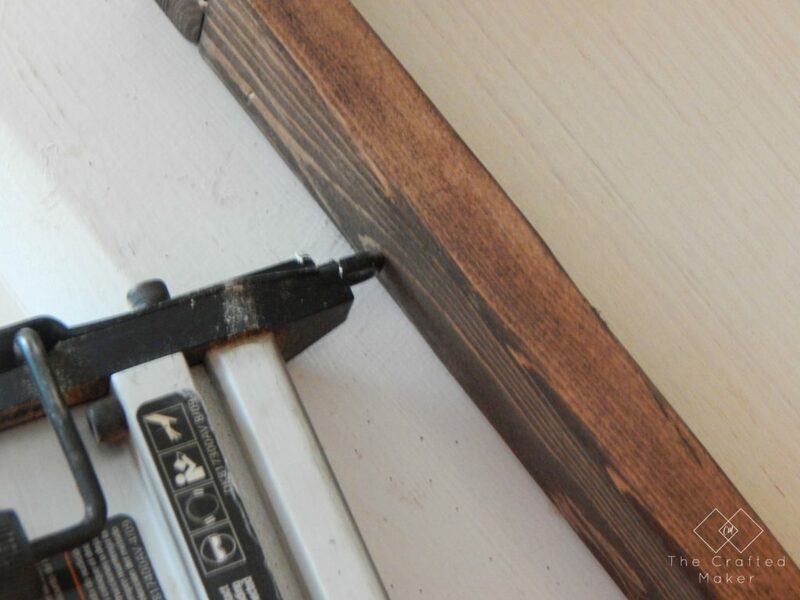 I sanded all of the boards down and lightly painted the plywood with an off-white color I had on hand. I also stained the 1X2 in Kona by Rustoleum. Once the boards were dry, I decided how I wanted my calendar to be positioned. I started the week on Sunday and made room for five weeks because the months start on various days throughout the year. 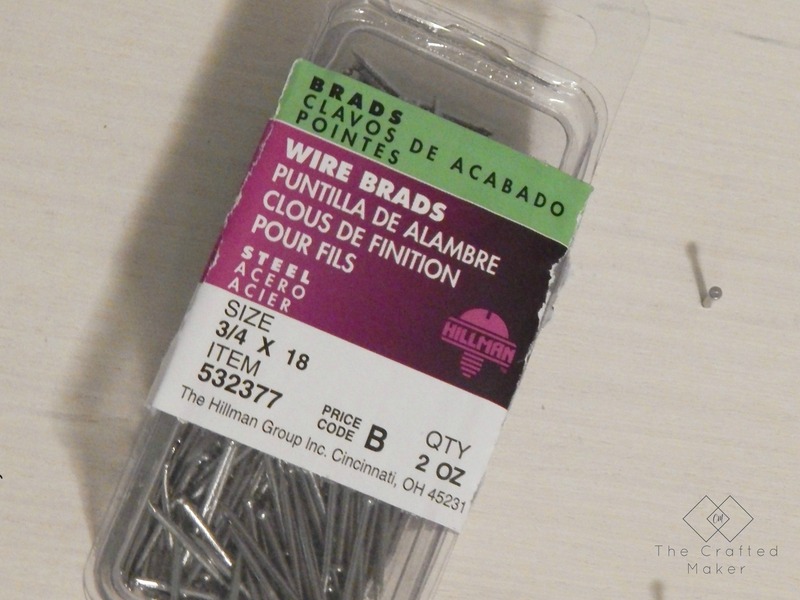 I used 3/4″ X 18 wire brads to hold the tags in place. 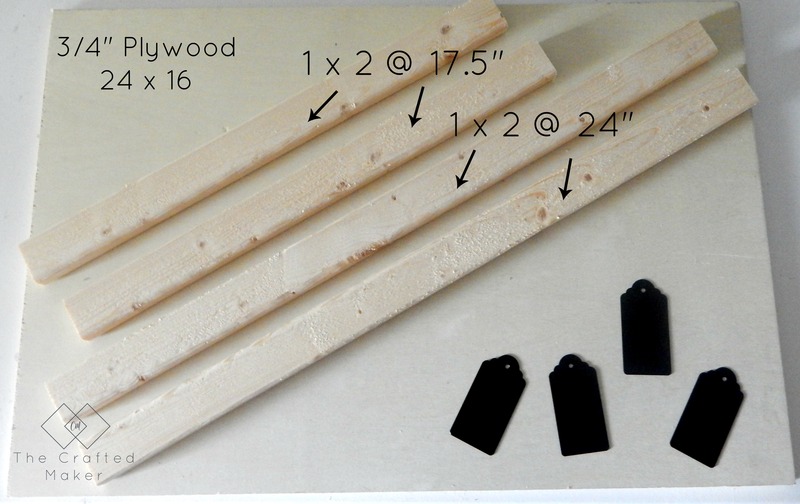 I just hammered them straight into the plywood with some left sticking out for the tags to hang on. Now time for the frame of the calendar. I used my nail gun with the air compressor for this. It made this step really fast and simple. 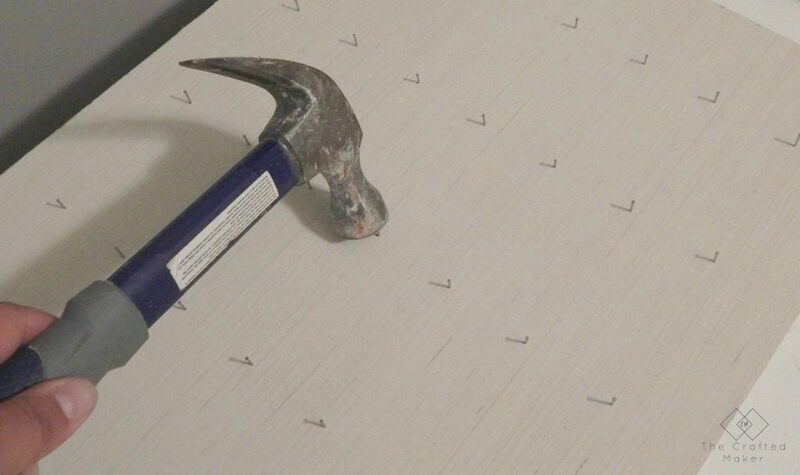 I placed a couple nails through each of the 1X2s straight into the plywood. 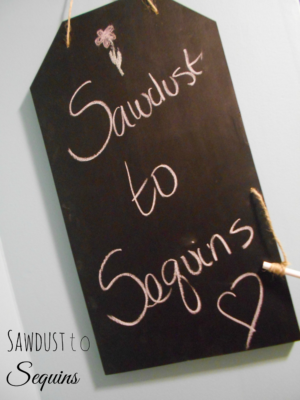 Then, I took some chalk and filled out the dates on the chalkboard tags. I only put three tags at the very top for the month. I am just going to abbreviate the months, but you could put more brads at the top with tags to spell out the entire month. 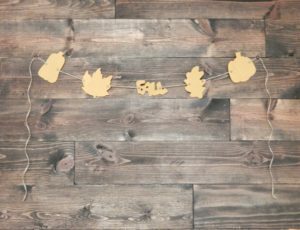 This project was pretty easy to do and I love the way it turned out. Well, that’s it for today. 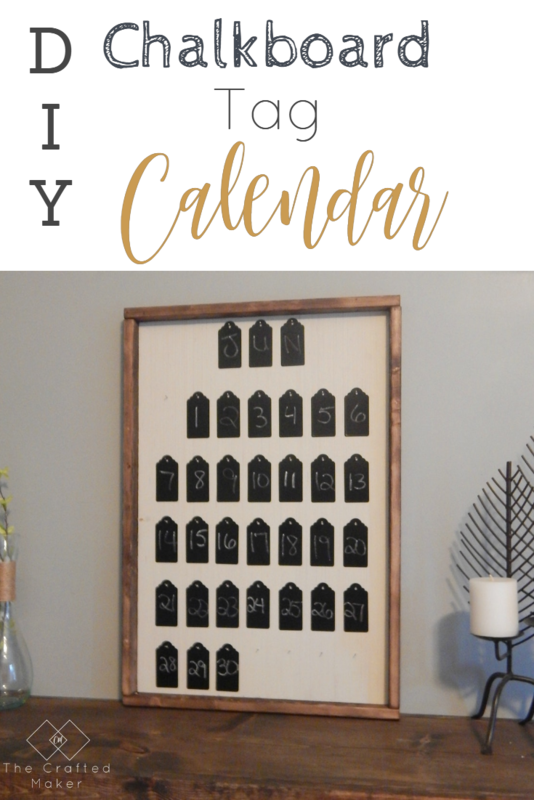 I hope you all enjoyed this project and it inspires you to make your own DIY Chalkboard Tag Calendar!! If you do, make sure you send me some pics. I love to see how your projects turn out. What a creative idea! Love this!